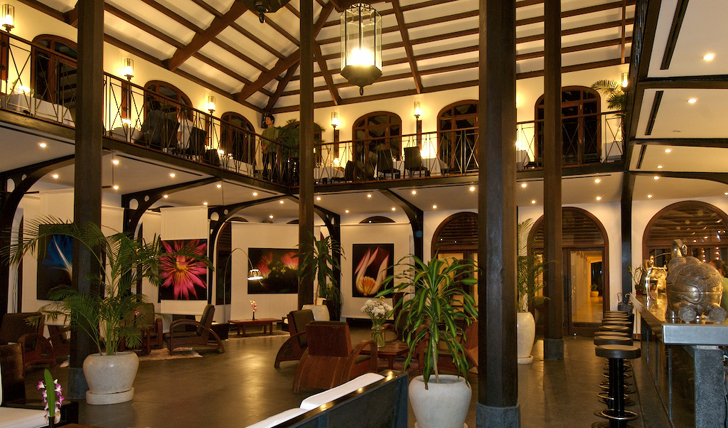 Possibly the most stylish and luxurious boutique hotel in Cambodia? With décor reflecting Asian culture as well as an art deco theme you are guaranteed a well deserved luxury experience. With world-class dining and spa facilities, this hotel is the perfect place to unwind and its exclusive activities mean that you can get your adrenalin pumping as you quad bike through the jungle or release your spiritual side as you are blessed by a monk. 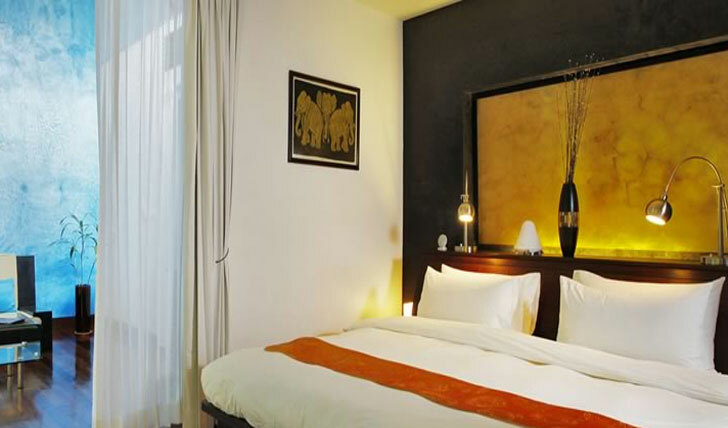 In prime location close to the famous Angkor Wat, this hotel is a must when exploring Cambodia. Nestled on the banks of the Siem Reap River, The Heritage is just six kilometres from the Angkor temples meaning you can explore these architectural wonders to your heart’s content safe in the knowledge you are never far from home. Take a short tuk tuk ride to Old Market and experience Cambodia like the locals do before retreating to your luxury haven just a stone’s throw away. Each with a private garden, your room at The Heritage will be your private retreat after a busy day exploring magnificent Cambodia. Rooms are Asian inspired and are adorned in locally crafted handicrafts and knik-knacks. Spacious and very well thought out, we think the rooms at Heritage suites are the pick of the bunch in Siem Reap. This exquisite hotel is in the perfect location for experiencing the real Cambodia without compromising on those luxurious touches that you know and love. It’s unique private activities mean your trip can be tailored around you (just as it should be), whether that be sightseeing at Angkor Wat from new heights in a private helicopter or cooking up a fiery curry in the kitchen with a personal lesson.